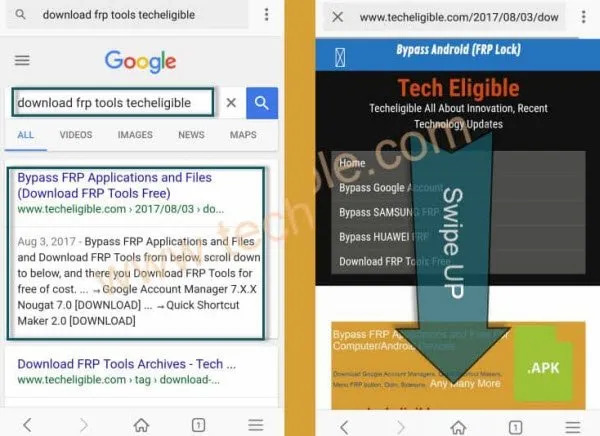 Are you getting “Verify your account screen” while completing initial setup?, if yest, so that mean you have got google factory reset protection on your Echo Mobiles, to access your device, you will have to Bypass Google Account ECHO Mobiles, you can try our free methods from below to bypass google frp lock easily, make sure your device has internet connection or Wi-Fi. 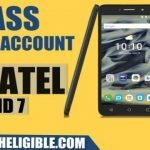 Note: This method has successfully been tested with Echo Mobile Android 7. -Connect Wi-Fi or internet to your Echo mobile. -Now Go back to very first “Welcome Screen”. -Tap on “Vision Settings” from bottom right corner. -After that, you will get popup window, just tap on “OK”. -Now you will get another popup window of “Talkback Tutorial”. -Draw “L” by swiping from top to down and then swipe to right, see below image. 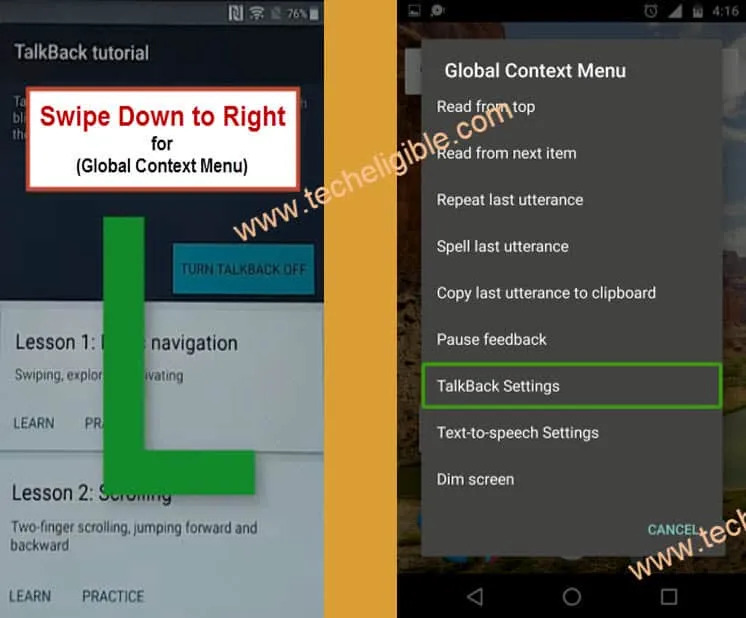 -You will get “Global Context Menu” screen, just double tap on “Talkback Settings”. 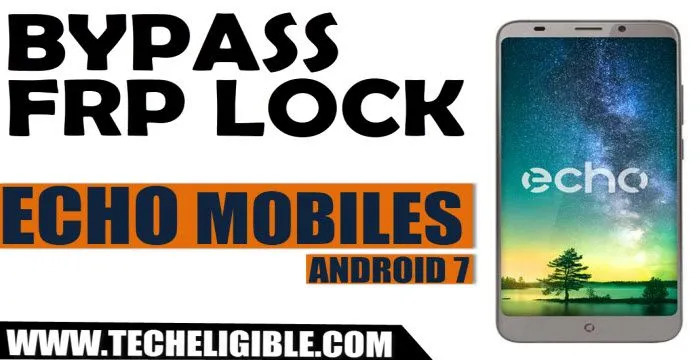 -Using your two fingers, go down and double tap on “Launch Talkback Tutorial”. -Tap on “Turn Talkback Off”. -Tap on “Video Play icon”, and wait few seconds until you get youtube video title. -After that, tap on video title, and you will redirected to youtube website. -Tap on “Accept & Continue” & “No Thanks”. 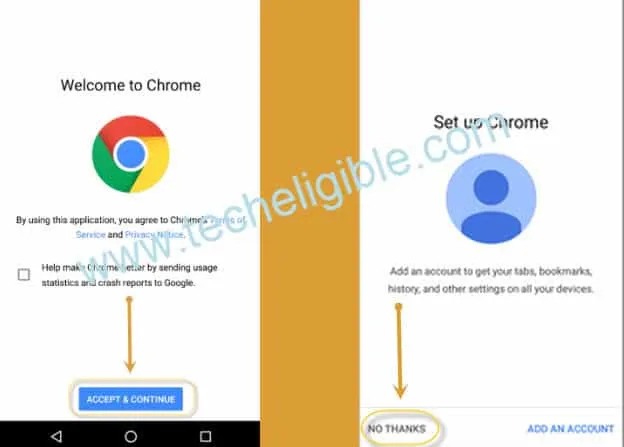 -Perfect, now we have successfully launched chrome browser to Bypass Google Account ECHO Mobiles. -Visit first search result & Go down. -Now until “Access to Settings” app downloading finish. -After downloading, you will get popup window bottom of your screen, just tap on “OPEN”. -Now you will see “installation blocked” popup, just tap on “Settings” and then enable the option “Unknown Sources”. -Now we have to download & install “Access to Settings” again to Bypass Google Account ECHO Mobiles. -Go back “download frp tools page”. -Download from there “Access to Settings” app. -After downloading, just tap on “Open” from bottom popup to install Access to Settings app. -Tap on “Install”, after that tap on “Accept”, and then tap on “Open”. -Perfect, now you will be redirected to the Echo Mobile Settings. 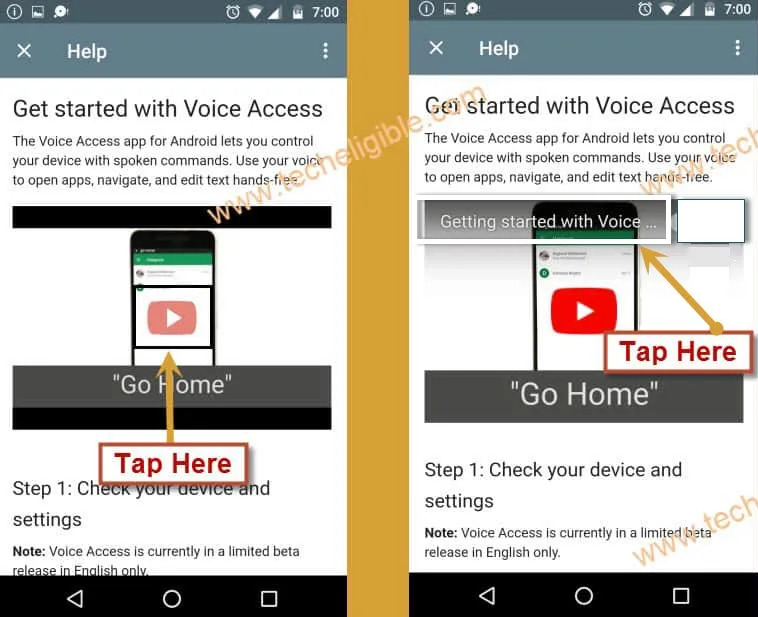 -To successfully Bypass Google Account ECHO Mobiles, we need to disable some applications from our ECHO Mobile. 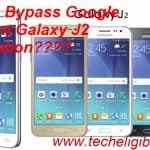 -Tap on > Security > Device Administrators > Android Device Manager > Deactivate this device administrator. -Tap on “APPs”, and then tap on “3 dots” from top right corner & select “Show Systems”. -Go down, and tap on “Google Play Services”, and after that tap on “Disable”. -Tap on “Google Account Manager”, and then tap on “Disable”. -Perfect, now we have successfully disabled all 3 applications. -Tap on > Storage > Explore > Downloads. 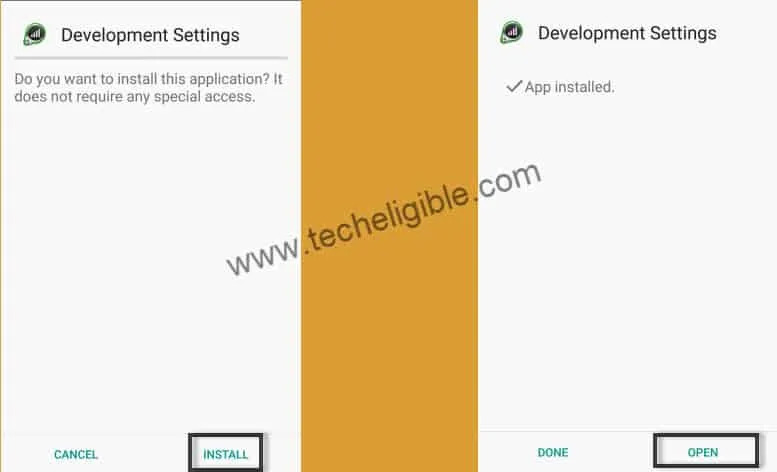 -There you will be able to see your both downloaded apps. -Tap on “Google Play Services” app, and then tap on “Install”, after that tap on “OK”. -Now again go back to “Settings”. 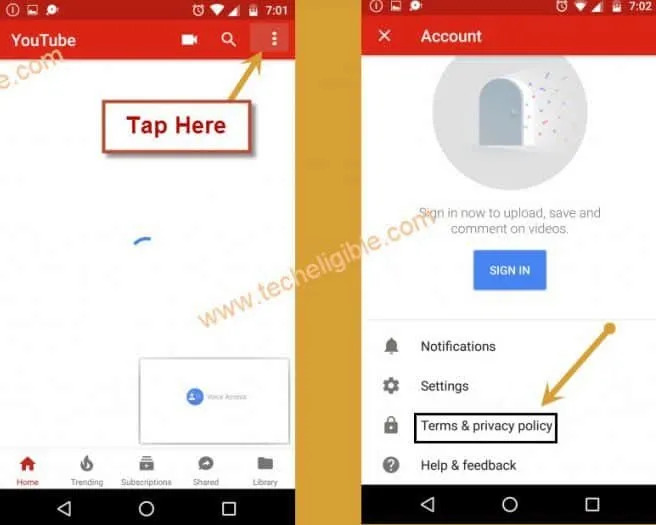 -Now we will add new gmail account to Bypass Google Account ECHO Mobiles. -Go to > Accounts > Add Account > Google. 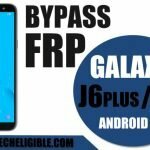 -Enter your any valid gmail account to successfully sign in and bypass frp lock echo mobiles. -After you sign in successfully, now we have to enable “Google Play Services” app. -Go to “Settings”, and then tap on “Apps”, after that tap on “3 dots” from top right corner & select “Show System”. -Go down and search “Google Play Services”. -Now tap on “Google Play Services”, and then tap on “Enable” to enable this application.